What does it mean to advocate for compensation and repatriation when these processes are embedded within settler colonial and colonial frameworks? Since 1948, there have been numerous maximalist and minimalist proposals to resolve the fates of Palestinian refugees by those outside the homeland and those internally displaced within Israel. For the State of Israel and many Jewish Israelis, the ideal solution encompasses a hoped-for absorption (i.e. disappearance) of Palestinians into host countries, elsewhere. For Palestinians, the rights of return and reparations (including restitution and compensation for lost properties and human suffering) are non-negotiable. Reparations are often discussed without reference to the political entity that dispenses compensation, which may be a one-state Palestine/Israel, the two separate states of Israel and Palestine in negotiation with each other, or any semblance of a federal or confederated framework. In theory, compensation to internally displaced and diasporic Palestinian Arab refugees may be endorsed and underwritten by any number of potential parties and agencies – the State of Israel, the American government (redirecting three billion dollars their annual weapons budget to Israel for reparation and repatriation), and overseas Jewish organizations and donors, including those in which my mother was active (for example, if B’nai Brith and Hadassah-WIZO would enlarge their humanitarian aid on behalf of reparations to Palestinians). But, what does it mean to advocate for compensation and repatriation when these processes are embedded within settler colonial and colonial frameworks? As with the US, Canada, Australia, and New Zealand, settler colonial societies triumphed because they held on to the majority of land and they did not depart; they succeeded because they laid claim to indigeneity and native-ness for themselves. [ii] As Awni al-Mashni notes, it may be that reparations actually mark the triumph of settler colonialism: Even the millions of dollars in compensation cannot erase the reality of Palestinian displacement, which is no longer a mere objective fact, but has, rather, come to shape and has taken over the Palestinian conscience, much like what the crematories and the concentration camps have done to the Jews. Have German reparations, in spite of their exorbitant amounts, drawn attention away from the crematory? Even the vision of a one-state solution with equality between Palestinians and Jews is an acknowledgment, at some level, of the triumph of Jewish Israeli settler colonialism. Along these lines, the question is open as to whether reparations from the settler minority to the native majority would diminish or reinforce the power of settler colonialism. For example, compensation for the indigenous Maori of New Zealand was aimed at making up for the manifest legacies of colonialism but, also, to maintaining the continuation of the white settler colonial regime. Reparations to the colonized may temporarily restructure hierarchies in which social inferiors were hitherto forced to make material tribute to higher status colonizers. But, it must never be forgotten that reconciliation between native and settler is about rationalizing ongoing settler colonialism – by demonstrating “generosity” and paying compensation, the colonizer reinforces their superior position in the social hierarchy. 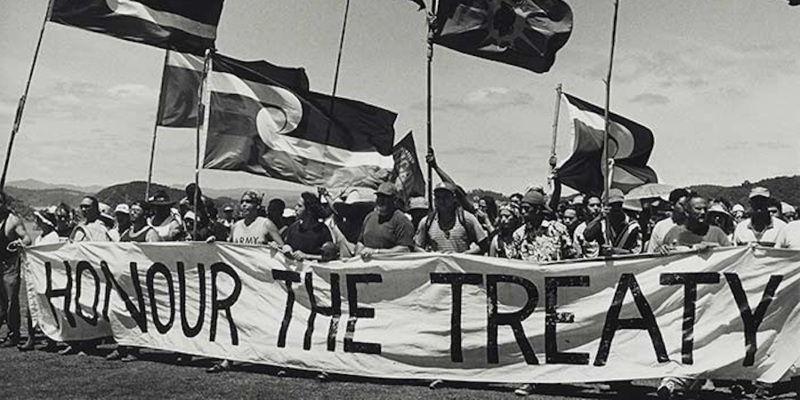 Thus, compensation remains mired in the messy realities of festering disputes between colonizer and colonized, or settler and native, even when opposing sides – such as the Maori native and the white New Zealander – are in agreement that reparative processes must advance. Susan Slyomovics is a Distinguished Professor of Anthropology at the University of California Los Angeles. This is an edited excerpt originally published by The Nakba Files from Slyomvics’ book “How to Accept German Reparations,” University of Pennsylvania Press, 2014. [i] For example, see the joint Israeli-Palestinian Zochrot-Badil program of refugee return and restitution emerging their visit to the South African Truth and Reconciliation Commission: http://www.badil.org/component/k2/item/1806-2?lang=en. See also the concluding chapter, “Toward a New Regime,” in Ariella Azoulay and Adi Ophir, The One-State Condition: Occupation and Democracy in Israel/Palestine (Stanford: Stanford University Press, 2012), 249-271. For great imaginative élan, see Joshua Simon, ed., Solution 196-213 United States of Palestine-Israel (Berlin: Sternberg Press, 2011). [ii] Susan Slyomovics, “Who and What is Native to Israel? In Marcel Janco’s Settler Art and Jacqueline Shohet Kahanoff’s ‘Levantinism,’” Settler Colonial Studies 3, no.3 (2013): 1-21. More from the Alternative Information Center (AIC).